Do you have a favorite pizza delivery place in Los Angeles? I know I do! I’ve tried a few places, but nothing compares to Garage Pizza in my opinion. Their pizza arrives in perfect condition and is never soggy. I’ve always been a New York pizza type of girl, so their New York style thin pizza with a crunchy crust is definitely a plus. Their sauce is great too (slightly sweet with just the right amount of herbs and spices). I like their cheese pizza, but usually end up ordering their “Game Pie”. 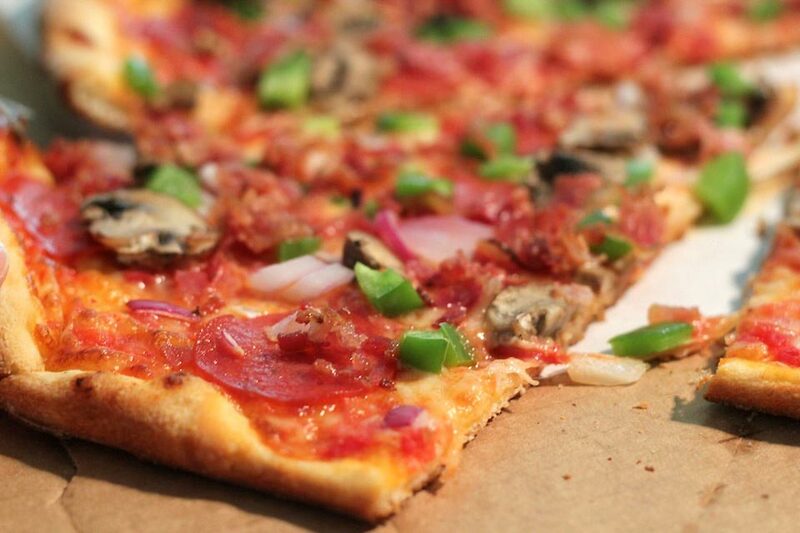 It’s loaded with pepperoni, bacon, bell pepper, onion, and mushroom. Try ordering during lunch time to take advantage of their special price!